This sailboat Oceanis 45 is available for rent from Golfe Juan will allow you to sail to the Riviera, to discover the Mediterranean treasures. 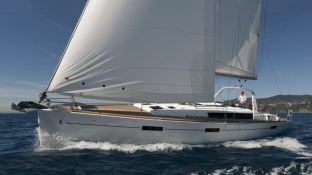 Available in Golfe Juan, French Riviera, this bareboat sailing yacht Oceanis 45 (3 double cabins), built in 2019 by Beneteau, is capable of hosting up to 6 guests. 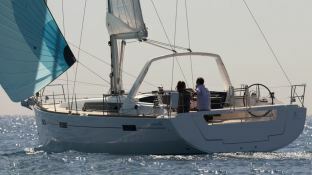 Further more, and for a optimal sailing charter experience, Oceanis 45 comes with bow thruster, electronic on board, equipped galley, GSM and also CD. 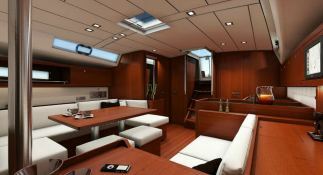 Special offer: this sailing yacht is available for yacht charter from May 04 to June 30 with a special discount of 15%.